Can you imagine what it would be if every piece of land on earth as we know it today, were brought together to form one huge continent? According to continental drift theory, that´s how the world used to be, and where the world is heading, eventually. 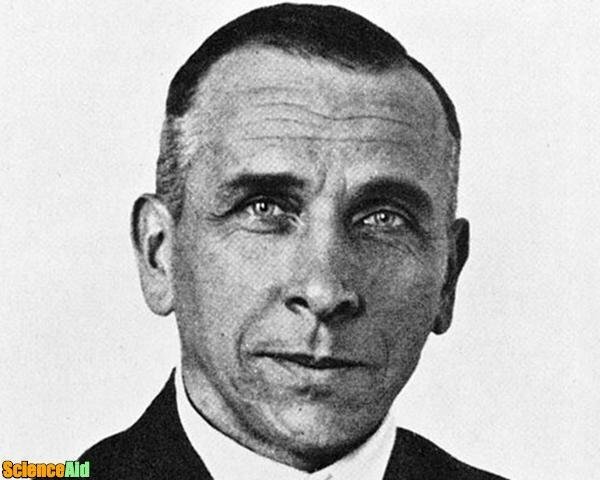 Alfred Wegener was meteorologist and geophysicist from Germany, who proposed a theory in 1912 to expose that continents were drifting and shifting position on earth. He called it the Continental Drift theory. 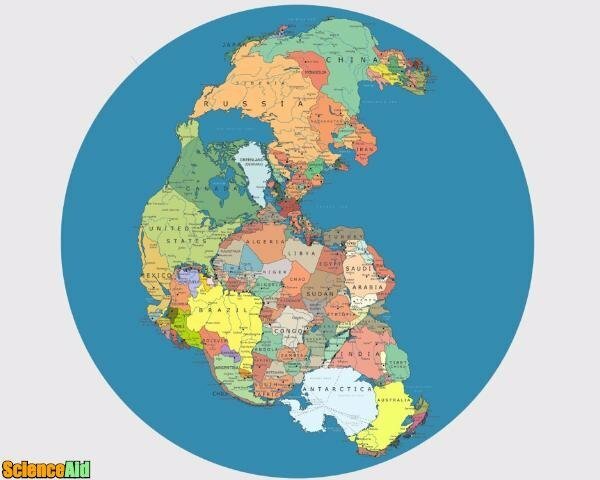 Wegener's idea was that all continents were once together 200 million years ago and began to drift away from each other. He claimed that was the reason for so many similarities in fossils, animals and rock formations found in different continents. He published his theory in the book "The Origin of Continents and Oceans" in 1915. Weneger got inspired to develop his theory by looking at maps; he was intrigued by how Africa's and South America's shores were a perfect match to interlock. But even though it made sense visually, that was not enough evidence for his theory, so he continued to make further investigations. He developed an interest in fossils. He extended his research based on the mosasaurs, a freshwater dinosaur whose fossils had only been found on the western coast of Africa, and eastern coast of South America. How could they possibly be in both places when a wide ocean separates them. It was not a possibility that the mosasaurs could have flown to get there, nor could he have swum there, the distance is just too far away, plus they can´t survive in salt water. 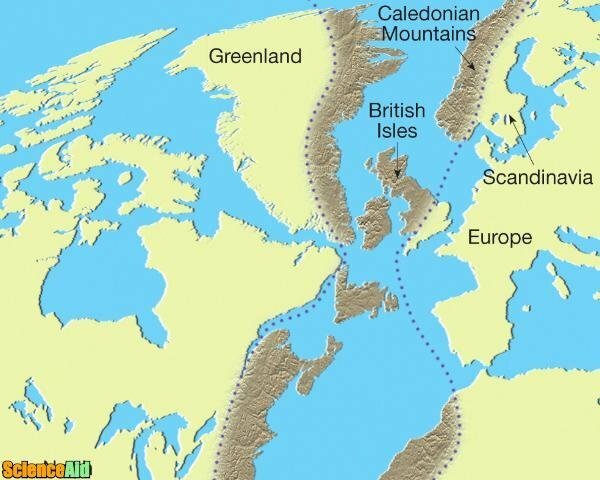 A possible option would be a glacial era that froze the water, allowing them to have walked their way from one side to the other. But there is no evidence found to imply that theory. 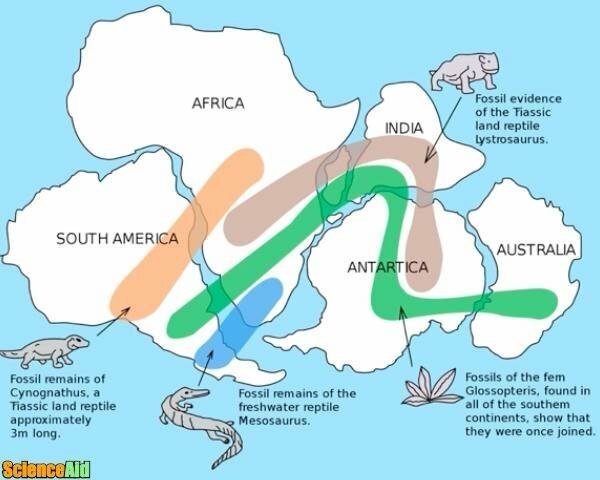 So what Weneger alleged, was that during the time that mosasaurs inhabited the earth, South America and Africa were connected, allowing them to roam around both places. When they became extinct, the land got separated and began to drift, carrying their fossils on both sides. While looking into this theory, he found other specimens on both continents; cynognathus, Lystrosaurus, and a tree called Glossopteris. He studied rocks and peaks from all over the world and was able to match sets of mountains from different continents like puzzles, as evidence of being once together. For example, the Appalachian Mountains from the United States and the Caledonian Mountains from Scotland make a perfect match when measured and put together on a map. Also, the Karroo strata in South Africa and Santa Catarina rocks in Brazil match perfectly. Geologically, it is almost impossible to have this sort of coincidence, and not only did they fit physically; these pairs of mountains were made from the same kind of rock and the same age sediments. This is a complicated yet interesting study; Weneger endeavored to look into climate data. He began with glaciers which are ordinarily found in large rivers in the coldest parts of the world such as the North and the South poles. Glacier streams are constantly moving, and while they do, they scratch the rock beneath them, leaving evidence of their trajectory. These scratches are called glacier striation. 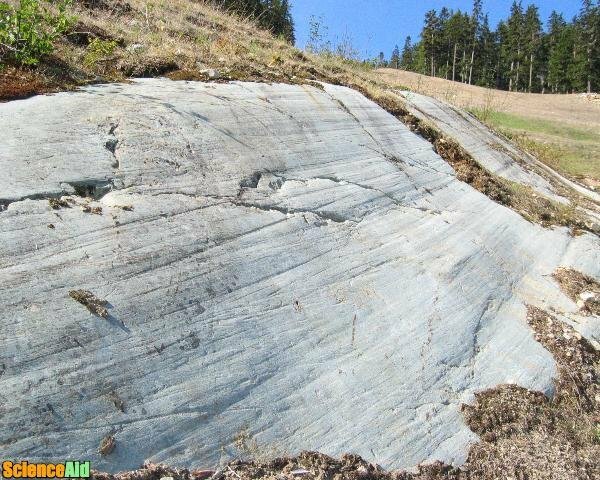 The interesting finding was that he discovered glacier striations in the tropical rainforest of Africa and South America. His theory was that those regions were not always located on the Tropic, but might have been down closer to the south pole and slowly drifted away. 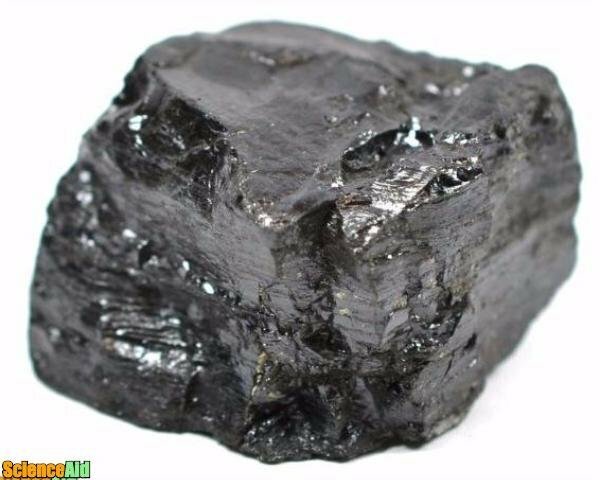 Going deeper on climate data, he explored Bituminous Coal, which is a fossil fuel we now burn to get energy. It is made from plant remains, and the curious fact is that nowadays it is found mostly in places near the poles where there is nothing but ice. How can there be plant made fossil where all we can see is ice? Weneger's theory proposed that those frozen zones were once closer to the Tropic and had magnificent rain forests. When they drifted away to colder zones, all vegetation was compacted under ice and became suitable to form Bituminous Coal. Despite all his efforts, his theory was discarded by geologists because there was no reliable explanation on how the continents could move, to be more accurate because he failed to provide an explanation of the mechanism that moved them. Unfortunately, Weneger died on an expedition and was not able to continue with his work. Although his theory was discarded, the idea of moving plates remained in geoscience, and decades later scientists would confirm Wegener's idea about an original supercontinent which he called Pangea, a term in Greek that means "the entire earth." 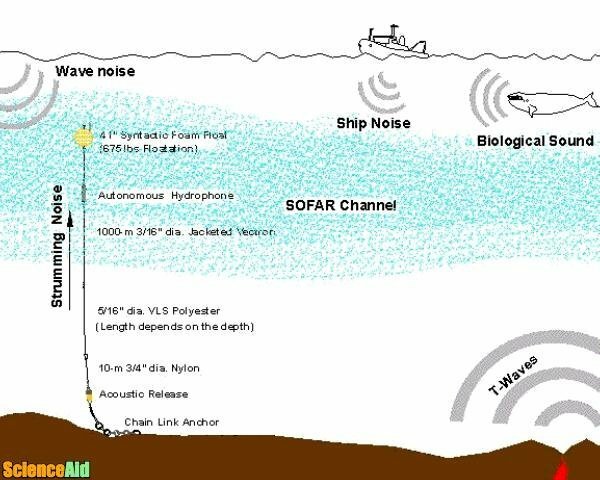 During the 1950s and 1960s, seismic listening networks on the ocean were built to monitor earthquakes and nuclear testing. The system to detect wave movements made it possible for scientists to discover the edges of the plates and the ocean floor. By monitoring the plates, they witnessed seafloor spreading and the creation of new plate material; this opened an opportunity for geologists to continue the investigations to complete Weneger's theory. 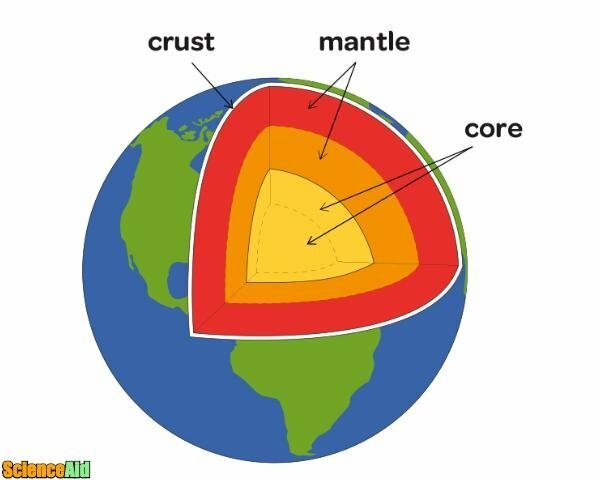 Crust or lithosphere: We inhabit the crust which is the outer layer of the earth. Although we may think of it as an egg-shell, it is not; it is rather a structure broken into many pieces that we call tectonic plates. Every continent sits atop of a plate which structure goes deep into the ocean and floating over the Mantle of the Earth. Mantle: The next layer on earth is the Mantle which is full of magma. The different temperatures keep the magma moving in convection currents which are a sort of circular movement. These currents are strong enough to move plate tectonics, and therefore continents. This magma movement is what Weneger was missing; it is the mechanism that moves continents. Inner core and outer core. These are the deeper layers of the earth right in the middle. They are both filled with superheated metal material. This movement happens when two plates move away from each other, seafloor spreading occurs and results in new oceanic crust creation. When two plates collide, they lose some of their crust after the impact, and usually, both plates become smaller. If one or both plates are forced under the ocean due to the impact, it is called a subduction phenomenon. It takes place when two plates move side by side in opposite directions; there is so much friction that the movement is rough. 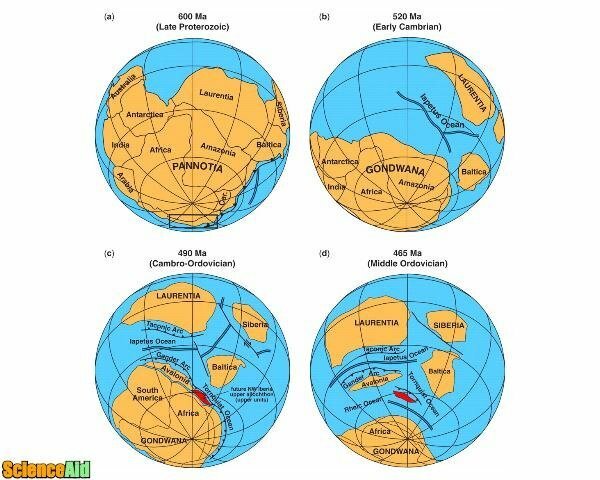 Today, it is believed by scientists that not only was there one supercontinent like Pangea but that several supercontinents have formed and broken up over the course of the Earth's life. These include Pannotia, which formed about 600 million years ago, and Rodinia, which existed more than a billion years ago. Pangaea existed about 240 million years ago. This supercontinent began breaking up about 200 million years ago. Millions of years later, Pangaea separated into two smaller supercontinents, called Laurasia and Gondwanaland, during the Jurassic period. These pieces of land slowly drifted through time and assumed their positions as the continent we recognize today. Continents cover about 29% of the earth. They have never stopped moving, and they continue to do so as we speak, at the speed of 2.5 cms per year. The most dynamic sections of tectonic activity are under the ocean, seafloor spreading zones and giant, rift valleys. It is speculated that continents might go back to being one whole mass land in about 250 million years. MLA (Modern Language Association) "What Is the Theory of Continental Drift." 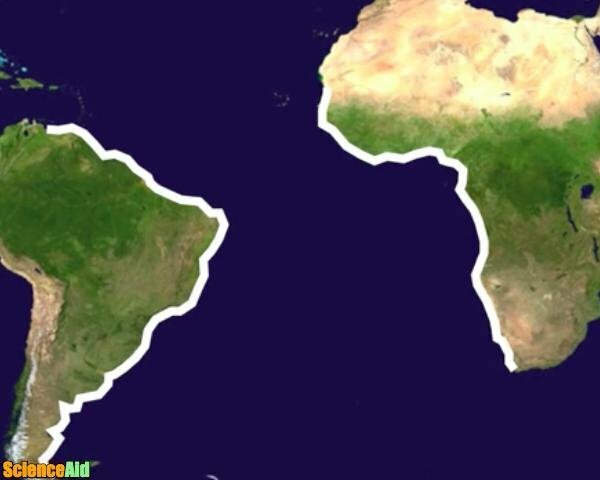 ScienceAid, scienceaid.net/What_Is_the_Theory_of_Continental_Drift Accessed 25 Apr 2019. Chicago / Turabian ScienceAid.net. "What Is the Theory of Continental Drift." Accessed Apr 25, 2019. https://scienceaid.net/What_Is_the_Theory_of_Continental_Drift.